We specialize in representing public agencies including the State of Louisiana, Livingston Parish, Hammond Area Recreation District and the Tangipahoa Parish School Board. Our experience includes a broad range of matter, including: complex land use and regulatory claims, labor and employment, public contracting, bidding and construction, public policy and ethics, tort liability, land use decisions, public safety and code enforcement, civil rights and constitutional claims. We have represented clients in state courts, at both the trial and appellate levels and federal courts. Senior Partner, Christopher Moody has represented the State of Louisiana as an Assistant Attorney General for more than 30 years. As an attorney for the state, Mr. Moody has provided competent, professional and aggressive representation of state agencies, boards, commissions and their officials in both state and federal courts. 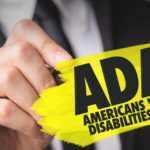 Mr. Moody has defended the state’s interests in civil cases dealing with Title II of Americans with Disabilities Act, Title VII of the Civil Rights Act, 14th Amendment Equal Protection Clause, medical malpractice, personal injury and wrongful death. The Moody Law Firm works hand in hand with Risk Management Inc.
Mr. Moody and the Moody Law Firm have represented the Louisiana Municipal Association (LMA) for over 35 years. The Moody Law Firm works hand in hand with Risk Management Inc., who administers the group worker’s compensation and public liability self-insurance fund, defending municipalities in court. 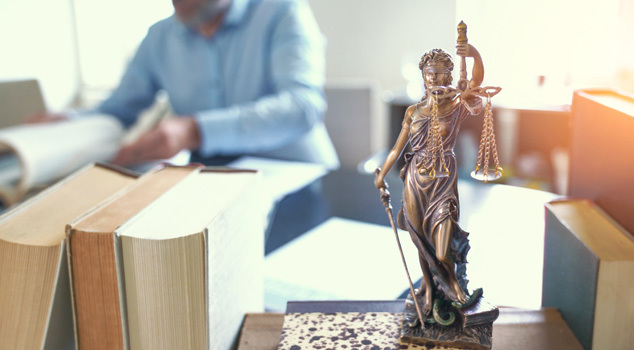 The Mood Law Firm is proud of its long-standing service to defending municipalities, departments, commissions, and individual public employees. The firm has defended claims filed alleging violations of constitutional rights, negligent hiring, training and supervision, and retention, employment discrimination, sexual harassment, workers compensation disputes and settlements, wrongful termination, personal injury, wrongful death, zoning disputes, property damage and many other causes of action covered under the contract the LMA provides to the member municipalities. Mr. Moody has been General Counsel for the Tangipahoa Parish School Board for the past 31 years, proving legal counsel and advice to the Board and approved representatives of the school system, writing legal opinions, initiating and/or defending lawsuits as necessary. Attending all regular meeting of the board and attending meetings with committees or third parties upon request of the board, working cooperatively with legal counsels of insurance companies, consortiums, or other collective with whole the Board may be affiliated, drafting and/or consulting on contracts, drafting and/or consulting on property acquisitions, representing the school system in all judicial and/or administrative proceedings in which the school system or any of its board members, administrators, or agents may be a party or have an interest, providing notification to the Board of changes in school law or state regulation, advising and rendering opinions with respect to issues relating to the Open Public Meeting Act and Open Public Records Act and the handling of any other legal issues that arise. Throughout the years Mr. Moody has competently represented the Tangipahoa Parish School Board in claims involving discrimination, wrongful termination, negligence, lack of supervision, defamation, contract disputes, construction disputes, real estate and property disputes, employment disputes, taxing authority disputes., and garnishments. In addition, the firm has successfully resolved numerous disputes with vendors, contractors, and bonding companies. The Moody Law Firm participated in the creation of this entity and has been their general counsel since its inception. The Moody Law Firm is also General Counsel to the Hammond Area Recreation District #1 which oversees the operation of the Chappapeela Sports Park located in Hammond, Louisiana. The Moody Law Firm participated in the creation of this entity and has been their general counsel since its inception. The Moody Law Firm provides all legal service for the Recreation District including but not limited to attending meeting, providing legal opinions on the public meeting law, freedom of information act, and public records act, drafting and/or consulting on public bid matters, drafting and/or consulting on public bid matters, drafting and/or consulting on contracts, and initiating and/or defending lawsuits. Since January 2012, the Moody Law Firm, and in particular Christopher Moody, has been General Counsel for the Parish of Livingston under a contract with the 21st Judicial District Attorney’s Office. As general Counsel for Livingston Parish, The Moody Law Firm reviews, drafts and negotiates contracts and leases, advises on individual and labor employment matters, reviews personnel, fiscal and other policies, attends council meetings, advises on government grant and contract issues, advises on responses to subpoenas, court orders, and requests for information from third parties, advises on the acquisition and expropriation of property, advises on various laws (open meeting law, bid law, public works, act, etc.) defends lawsuits, and provides other legal services as needed. As general counsel for Livingston Parish, Mr. Moody has worked with the Livingston Parish Sewage Districts proving legal services to them as required. Mr. Moody has been actively involved in the creation of two of the sewage districts and assisted them in getting property tax millage on the ballot.